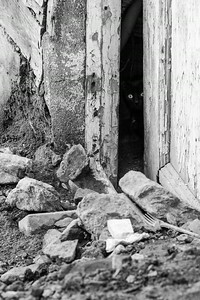 Street photography uses the techniques of straight photography in that it shows a pure vision of something, like holding up a mirror to society. Street photography often tends to be ironic and can be distanced from its subject matter, and often concentrates on a single human moment, caught at a decisive or poignant moment. On the other hand, much street photography takes the opposite approach and provides a very literal and extremely personal rendering of the subject matter, giving the audience a more visceral experience of walks of life they might only be passingly familiar with. In the 20th century, street photographers have provided an exemplary and detailed record of street culture in Europe and North America, and elsewhere to a somewhat lesser extent. My collection is in its infancy and currently represents over a dozen countries. Look closely, there is a story behind every photo. Two police officers question a lost boy at Venice Beach. 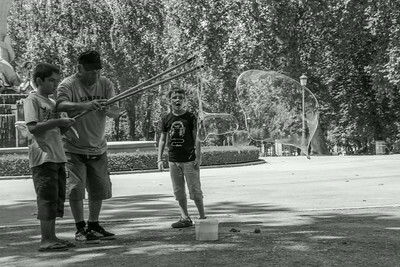 A man teaching a kid to make giant bubbles in a park in Madrid. 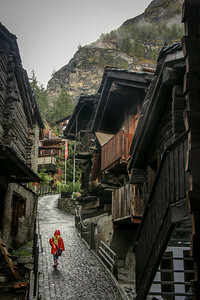 A Swiss child walks up a cobblestone road in Zermatt, Switzerland. Prostitutes in the red light district of Amsterdam. An Amsterdam prostitute stands in the window next to two empty windows. 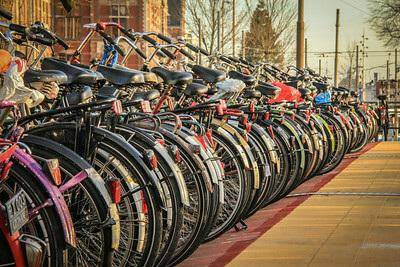 Bicycles lined up on a cycle parking ramp in Amsterdam. 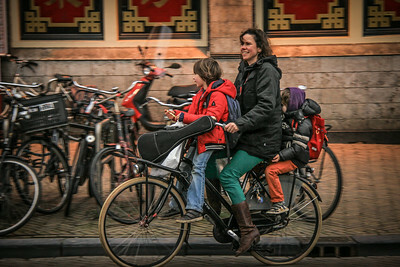 A mother making the commute home after picking up her children. 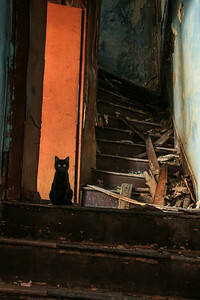 A curious black cat watches the door in an abandoned building in Istanbul, Turkey. Two Turkish cooks take a break on a bench in front of the restaurant. 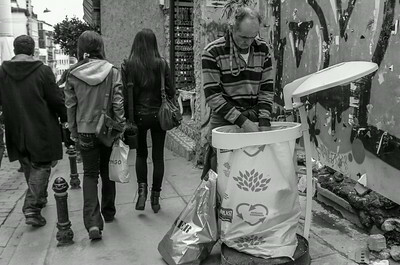 Teenagers carrying shopping bags walk by a man putting things from the garbage into a shopping bag. 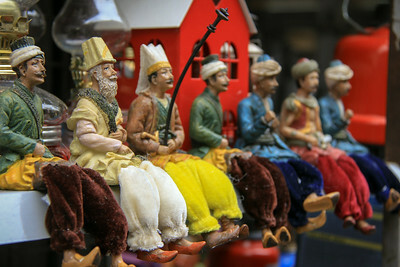 Toy figures sitting on a shelf near the Egyptian Spice Bazaar in Istanbul. 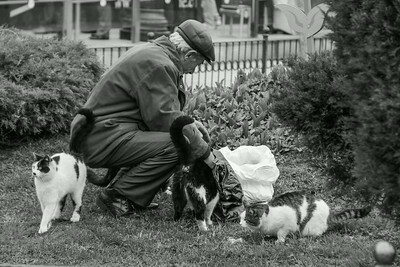 A man feeds stray cats in Istanbul's old city. 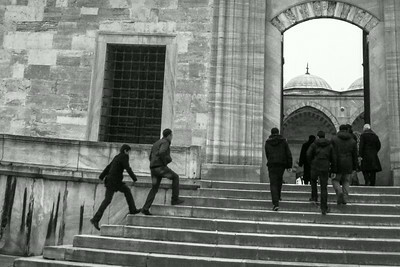 People make their way into the Blue Mosque in Istanbul after the call to prayer is broadcast. 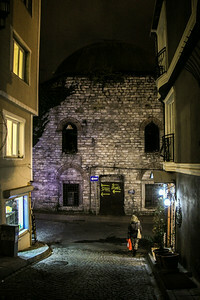 A woman walks alone in the Istanbul streets at night. 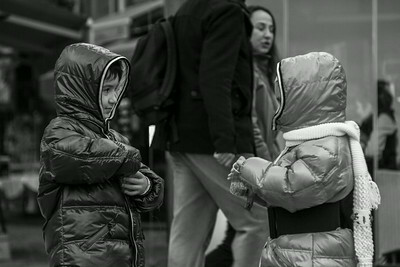 Two children meet near the seaside in Istanbul. 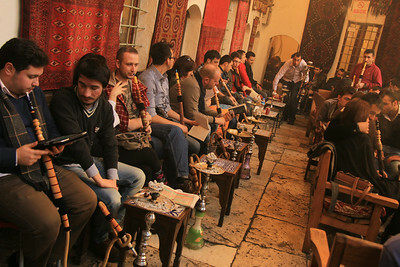 A scene from a nargile cafe, also called a hookah bar/lounge. 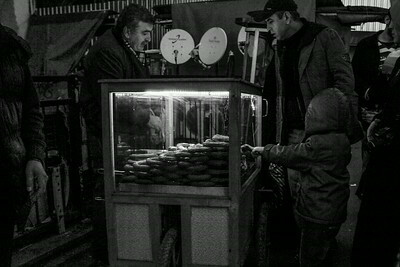 A child points to the sweet she wants from the street vendor. 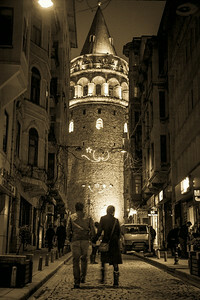 A couple walks to the Galata tower in Istanbul. 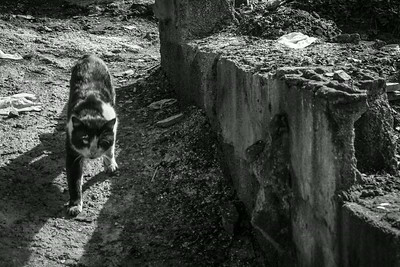 A one-eyed cat watches the entrance of a crumbling building in the Tarlabaşı neighborhood of Istanbul. 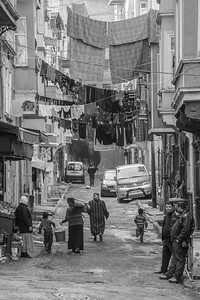 A snapshot of activity in Tarlabaşı, a minority neighborhood in Istanbul. 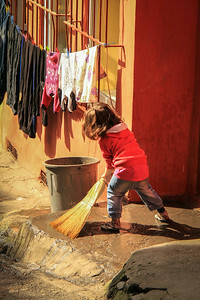 A child in Tarlabaşı brushes the front step with water and a broom.